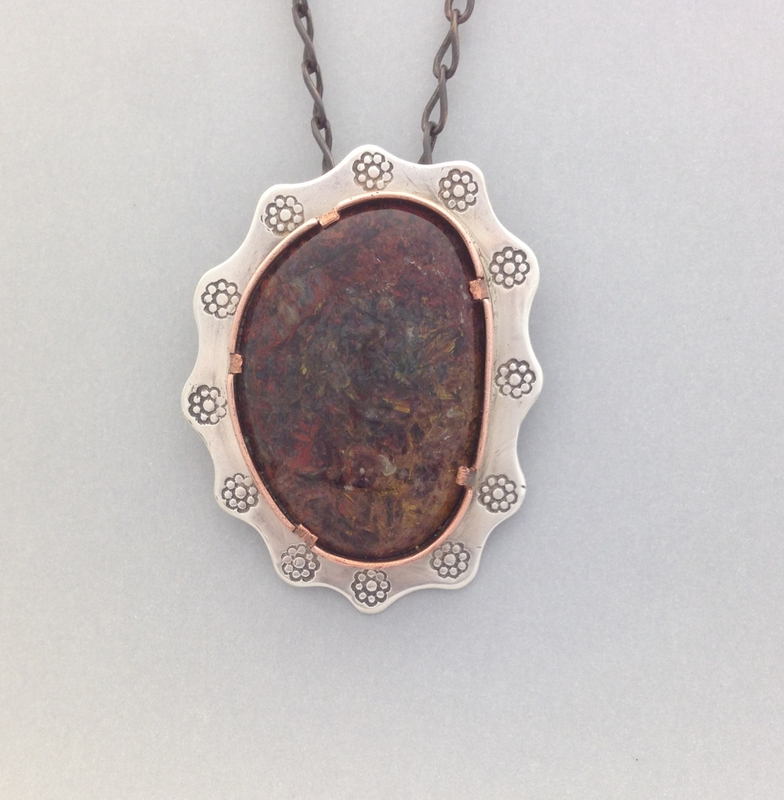 This necklace is a Sterling Silver base with a freeform Petiersite cabochon held in place by a copper bezel. 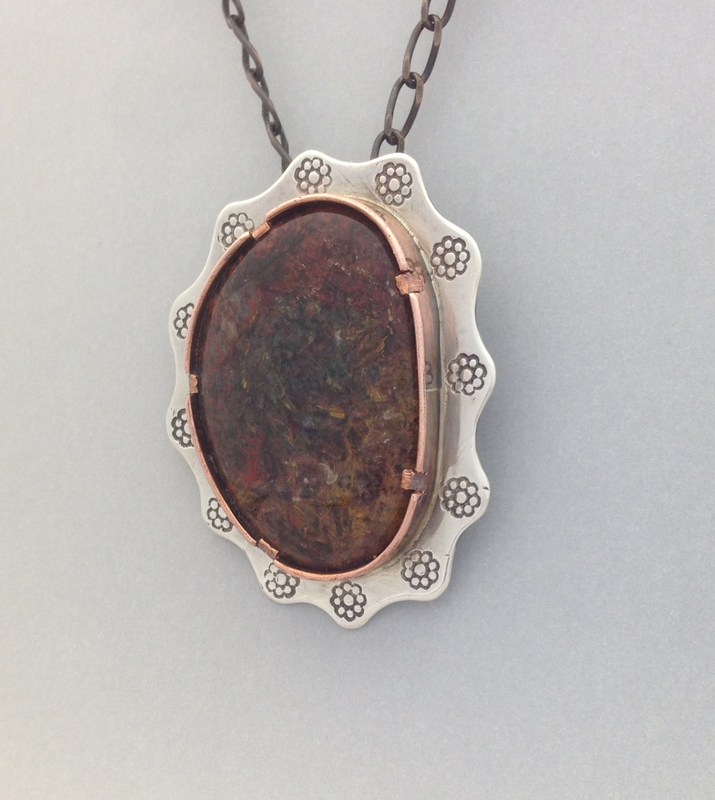 It is completely handmade and a one of a kind necklace. 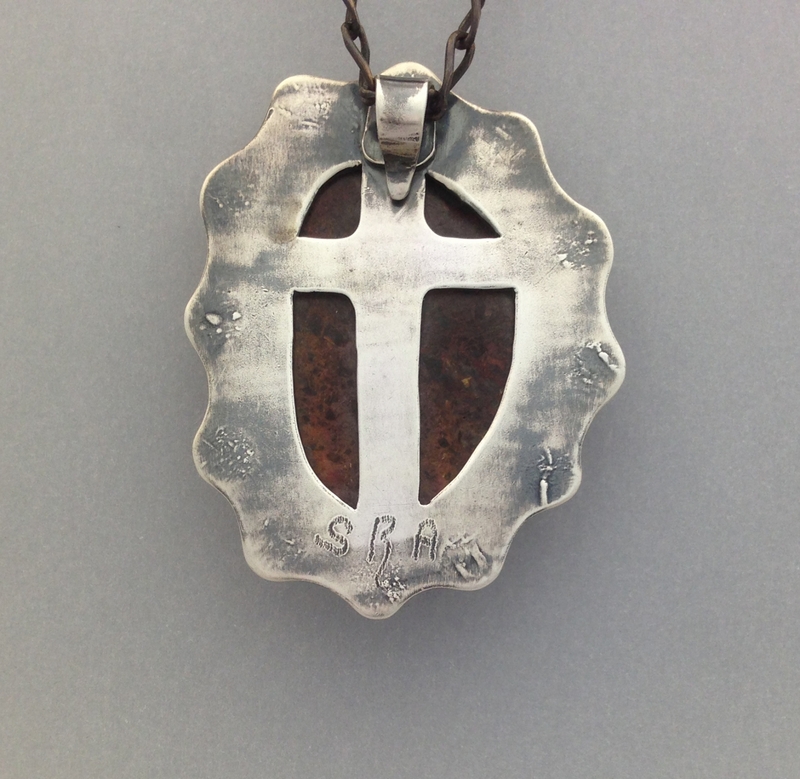 It measures 2" x 1-1/2" and hangs on an 18" copper chain with a handmade copper hook clasp.